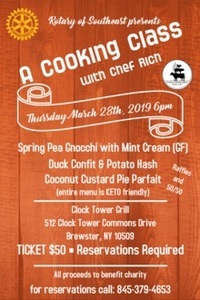 Come enjoy and evening with Chef Rich Parente guiding us through preparation of an awesome meal. Did we mention that this is a KETO friendly meal? Please come out and support our new Rotary Club of Southeast.